Hello to our Bon Appetite readers! Our Apple Cider took home an award at the Wisconsin Apple Growers Assoc. Convention in 2016! Are you a fan of our Apple Orchard? Show your awesomeness by liking our Facebook Page! Here you will get updates to what apples are ready, which markets we are at and reminders, plus other fun stuff. Click here or head to Facebook and search for us! Come see us alongside Jazzed Up Marshmallows. Featuring our Apple Cider Muffin Tin Donuts! Also at Whitefish Bay Market on Saturdays. Have a market you would like us to be at, let us know on Facebook. Our Mission is to grow as naturally as possible as nature intended. 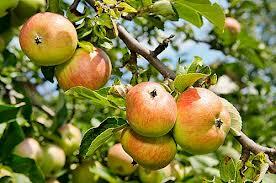 Our Apple Season runs from around August to the end of October, as weather permits. We also grow sweet and tart cherries, peaches, and pears. We grow our fruit organically, using the IPM Method (Integrated Pest Management) helps us keep the flavor of the fruit. We strive to bring you the best tasting fruit and baked goods around! 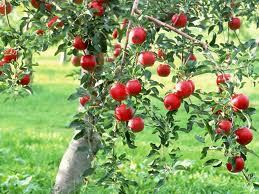 Check out our apple varieties and product pages. 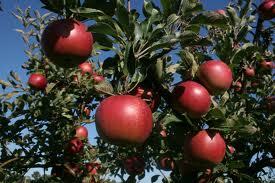 Apple Fun Fact: The apple tree originated in an area between the Caspian and the Black Sea.